Ranger Cottage at Chautauqua Park: Nestled next to the Colorado Chautauqua at the foothills of the Rockies, is the Ranger Cottage. This cottage is the hub of OSMP activity and information. From running, to bird watching, the Ranger Cottage provides helpful resources for all kinds of activities. This is also a great place to start the run. 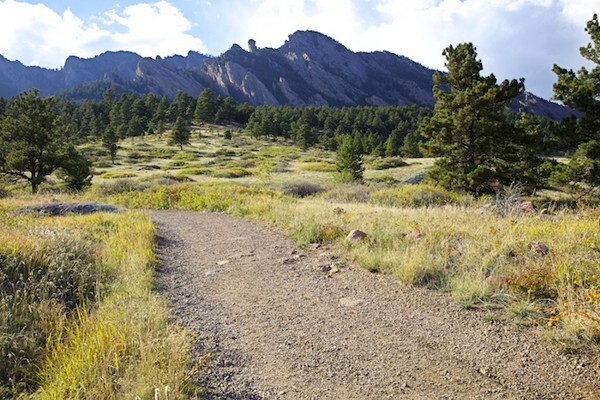 Shadow Canyon: Popular for hiking, the summit of this widely known canyon holds Boulder’s highest peak. The canyon is filled with huge boulders, lush foliage, and lots of ferns. South Mesa Trailhead: This marks the end of the 7-mile Mesa Trail route. Parking lot in Eldorado Springs. Much of the trail is shaded. Be prepared for some rocky sections and steps with railroad ties. If you’re not looking to turn around, or run the 7 miles back, you should arrange for a pickup of some kind. Note that there are many other trails in this area.